The album measures 4.5" by 6". It has a black twine closure. The inside front cover has a tuck spot that has 3 tags enclosed. There are 4 pages that are 4x6. Then there are 4 fold out pages. The inside of each fold out page is a pocket with a tag enclosed. The inside of the back cover has a tuck spot with 3 tags tucked in. 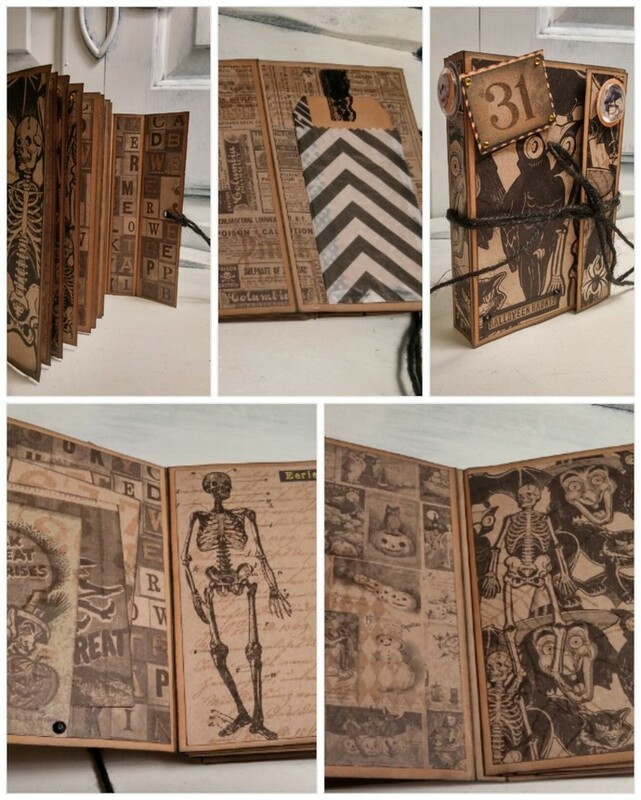 Lots of space in this mini album to capture all your spooky memories of a haunting Halloween. For more pictures please visit my Facebook page.